Halloween, Thanksgiving, and Christmas are fast approaching which means many memories to come, shared with friends and family. Trick or treating, eating turkey, and singing Christmas carols are just a few of the many memories to be made during this holiday time. 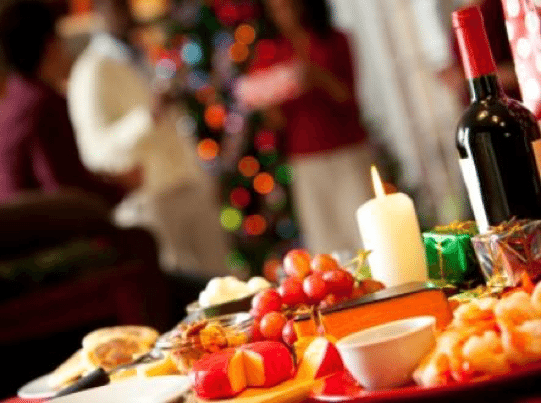 Although the holidays are filled with joy and happiness, it can be stressful with the pressure of throwing the perfect holiday party. Instead of stressing over planning a holiday party all on your own, Gala Events Facility can work alongside you to plan the perfect party of your dreams hosted at our Marietta party venue. Marietta’s Gala Events Facility is the perfect option for your holiday party because we provide a banquet hall that is private to your special event and affordable to host. We understand that holidays can be stressful, but we hope to ease some of the stress by helping in every way we can. Our overall goal is to be able to provide an environment where your friends and family can sit back, relax, and enjoy. Gala Events Facility is a gorgeous party venue located in Marietta, GA. The Gala Events Facility is known as one of the premier party venues in our area and is the perfect place to host any special event. The Gala staff works hard to ensure that your party is everything you imagined and more. We would love to give you a personal tour of the facility and help plan the perfect holiday party that you have always dreamed of! Happy Holidays from the Gala Staff to you!